Collaborating on this project has been great. I can’t ask for a better group of colleagues to work with. We watch, listen and learn. We are patient with each other. Group members are communicating and as a whole we are progressing. The most challenging and time consuming issues for me involve inworld activities. Logging on and learning the process of maneuvering the camera and avatar proved challenging. A little tidbit when logging inworld for the first time: your login is first name space last name. Remember the space. I wanted to be part of two groups: public relations and journalism, but decided to stick with journalism. Navigating the inworld platform is not that difficult, but learning the process is time consuming. By Sept. 2, 2015, the journalism group will have written outline/plan detailing goals, strategies and tactics for the entire group and for each individual journalist. We are focused, determined and working hard to make sure the finished project represents our exceptional talents and efforts. Everyone on the team understands the final goal is creating a phenomenal 4 to 5 minute machinima. Today I spent a couple hours inworld with my avatar learning how to build. I was fine until I got to the hallowing and cutting segments. 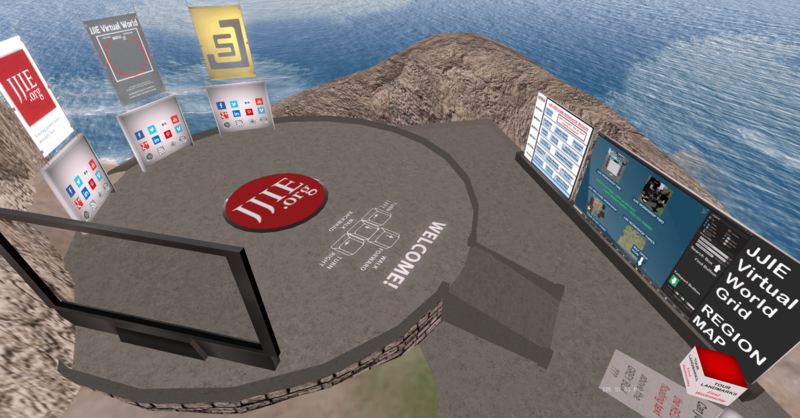 I left the virtual world to correspond with journalism group members regarding next Wednesday’s meeting and blogged. Our team goes above and beyond to exceed expectations. It’s refreshing to know I am collaborating with very talented and motivated people. Going back inworld, blog more soon. Has everyone been in world? I have been working with Gwenette setting up my inworld presence, but have not been successful. Verifying the type of system you have prior to setting up the viewer is highly recommended 🙂 I installed and uninstalled the viewer but still having difficulties getting into the JJIE world. Stopped by the Center for Sustainable Journalism to see Eric, but didn’t find him. Not sure of his schedule so sent Eric and Derek an email regarding help getting online. Troubleshooting has been time consuming but the lessons very valuable. I have no doubt I’ll be in world soon. Happy Friday! At 2:00PM yesterday, we had a conference call that changed the entire direction of our story . . .
Leonard has been in contact with Stephen Reba, a professor at Emory Law, who represents youth in the Georgia Juvenile Justice System who have been tried as adults. In addition, Stephen is Director of the Barton Child Law & Policy Center and founder of the Appeal for Youth Clinic. Currently, at the clinic, there are six law students who are providing representation for youth in the system. Read more about Steve and the Center. At the Appeal for Youth Clinic, Steve has 50-70 clients. Unfortunately, he is not currently representing any youth age 17 or younger, which we had originally wanted for a story. He did mention one case that caught our interest, so we asked for more details. – With another 13-year old boy in foster care (brother? ), was involved in an armed robbery led by their 18-year old foster brother (biological son of foster mother); the two 13-year olds did not have guns; they each received radically different sentences. Our youth received 40 years in prison; the other youth received a 20 years sentence. With this little information, we cannot create our story. Luckily, Steve said that we may be able to go with him to interview the prisoner. Since Steve has all the information on the youth, he will be scanning and sending us these documents so we can be familiar with his story, background, etc. We also talked a little about what happens when incarcerated kids finally get out of prison. We discussed Alton’s case (From Jailhouse to Morehouse) and how, when he was released from prison, he completely turned his life around for the better. Unfortunately, this is not usually the case for most juveniles who are finally released from jail. Many people end up dying or committing suicide because they do not know how to function in this society, as they have grown so accustomed to the world of survival and violence in prison. Success stories for juveniles who finally get out of prison are very rare. When thinking about this in relation to our youth’s case, we must remember that he was put in jail at age 13 (he did not even make it to 7th grade) and has served 17 years of his sentence. He is 30 years old now. Now, it’s the Journalism Team’s job to get this story rolling. We’ve got a story. We also will soon have all of the documents and information on the youth that we need. Now, we just need to read and become familiar with his story and then get in contact with people for interviews. Currently, we are awaiting the arrival of Steve’s case documents via an online drop location. We journalists realize the need to get this story going as quickly as possible, so that our inworld builders can begin creating the virtual world machinima scenarios. Journalists, Technologists and PR, Unite! 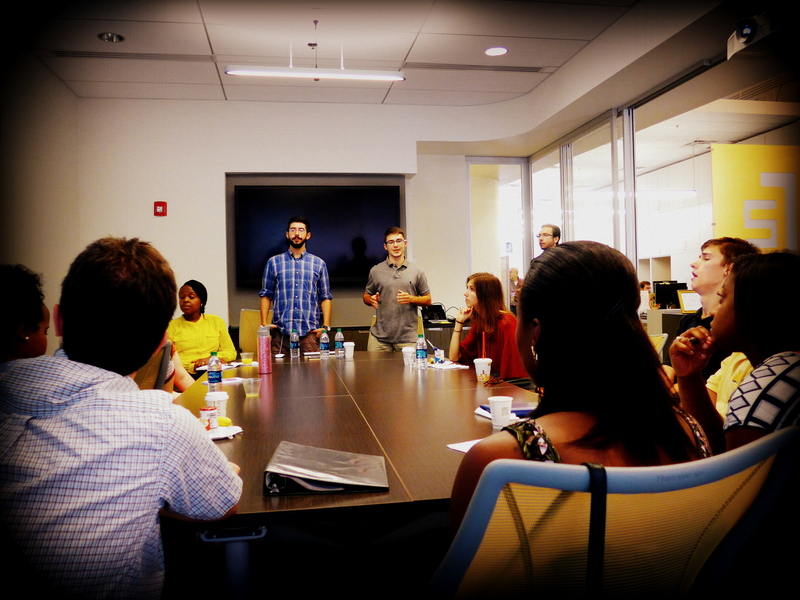 During our meeting this morning, each of us twelve students gave a short introductory presentation. Based on the presentations, everyone seems to come from a variety of backgrounds and each one of us has so many different talents and skills to offer for this project. After the presentations, we determined groups, which mainly became two somewhat-defined groups: Technology & Journalism (+PR & Research). I loved that we were able to choose our groups based on our past experiences and current interests. Since I worked at the Writing Center and have always loved writing, I am (of course) a part of the Journalism Team. Along with this, I will be taking over the Process Blog and the Research aspect. During our time with the Journalist group, we discussed some story possibilities and assigned roles, like interviewers, researchers, etc. As of now, we plan to go with the Alton Pitre story. Although Alton is no longer a youth, his story is very interesting: he was born in California, was incarcerated as a teen, and completely turned his life around when he was finally released. Since he currently works for the Juvenile Justice Information Exchange, he is an easy, immediate contact for a quick story. Next step is to research and plan interviews. However, we do want to keep searching for stories in Georgia (preferably of youth who are still in prison) so that we can work to amplify their voices while they are in the System. We have a Conference Call with Steve Reba at 2PM today. Hopefully he can help us find more stories!